President AN, as most us should now by now, was just a temporary tool to prolong the life of the Islamic Republic. Now Mullah Khatami and Mullah Rafsanjani call themselves "the opposition" who want to "transform Iran into a normal country" - the same normalcy which has ruled for 28 years under their respective terms in office (see end of entry). Lets see if the Iranian Nation has learned anything from the experiences of the past 28 years or whether they still are that unworthy nation of their fathers and mothers who brought or let the Islamists take to power. 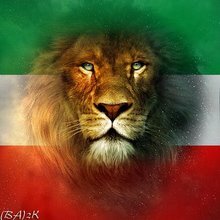 Will they assist the Islamic Republic in prolonging its rule of terror, destruction of Iranian culture or will they have gained enough enlightenment and courage to stand up against the plans of the anti-Iranian Islamic Republic. 1.) There is a grand coalition of anti-government forces in Iran. 2.) This "grand coalition of anti-government forces" consists of "pragmatic" and "progressive" and "moderate" leaders like Mullah Mohammad Khatami, Ayatollah Hashemi Rafsanjani, and Grand Ayatollah Yusef Sa'anei! 3.) A leading "opposition figure", Mohammad Atrianfar, who has close ties with Ayatollah Rafsanjani says that the Ayatollah is most likely to become the next leader of the Islamic Republic. Have Iranians understood what the Islamic Republic is all about yet? The Islamic Republic is a terrorist, anti-Iranian, Islamist regime which must be fully uprooted! "A blurry but shocking video taken in Tehran yesterday by a pedestrian showing a woman being taken away by moral police during the recent crackdown on women's dress code and the un-identified woman is yelling and crying for help and saying she doesn't want to be taken into custody." Islamic Republic set to destroy Iran's pre-Islamic heritage! 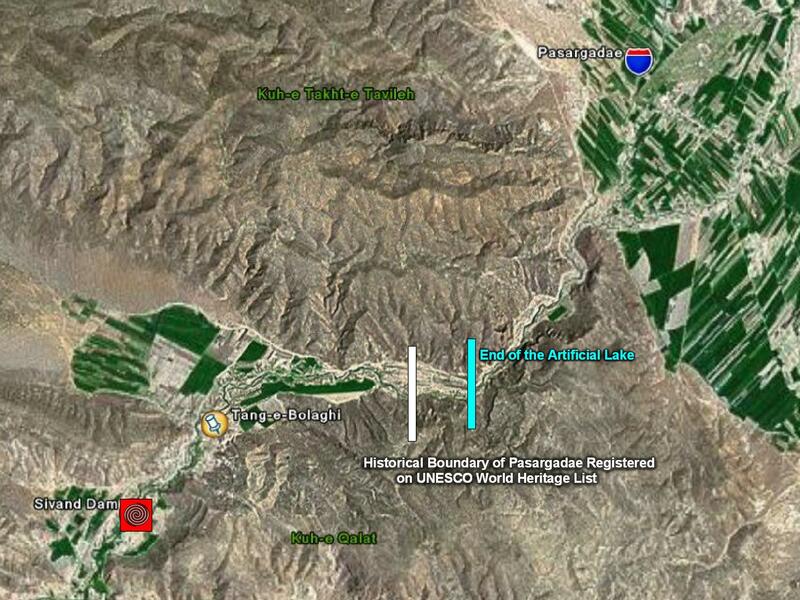 Islamic Republic's Animosity towards Pre-Islamic Iran, has Overruled Critics and Started Filling the Sivand Dam that will Drown 137 Archaeological Sites and Would Threaten the Mausoleum of Cyrus the Great! Every year the Islamic Republic cracks down on Iranian females who are deemed to be breaching the Islamic dress-codes. This year the Islamic Republic has set loose it's female Islamists who Iranians know by the names of "Khaharane Zeinab" (Sisters of Zeinab), "Fati Kommando's" (Commando's of Fatemeh Zahra), or simply put "Hezbollahi's" (Members of Hezbollah). These creatures are loathed and are known for their extreme brutality against Iranian women. They are recognized by the all-enveloping black Islamic garment known as the "chador". Most Iranian women cannot even believe that these creatures are Iranians and some say that many of them actually aren't Iranians - which wouldn't come as a surprise since the Islamic Republic uses Arab and Afghan mercenaries when it needs to crackdown on freedom and democracy activists. In addition to setting these animals loose the regime is also tightening dress-restrictions on Iranian males who are being arrested for wearing short-sleeved shirts and "un-Islamic" hairdo's. Male university students wearing shorts in their own dormitories are also being arrested and fined. Shorts are outlawed in the Islamic Republic as they are seen as un-Islamic. For more pictures please check THIS LINK. Just a note to my non-Iranian readers: Based on my limited knowledge on the bureaucratic system in existence in Iran - anyone wanting to set up a university association in Iran under the Islamists must describe their association as "Muslim Students Association at...." in order to get the seal of approval by the authorities - this however has nothing to do with the personal/religious nor political beliefs of the students that belong to these groups. As an excellent example, the below student's association from Tehran's Polytechnic has nothing to do with Islam and has always served as a venue where students can voice their rejection of the system through various means. The Islamic Republic has its own official student groups like the Basij or Ansar-Hezbollah whose members are either brainwashed dirt-poor Iranian villagers or non-Iranians; like Arabs from Lebanon/Palestine or Afghans. These groups are used to tarnish the image of Iranian students with foreign news agencies usually describing these animals as "Iranian students" when they bus in 100-200 of themselves to hold anti-western demonstrations. Tehran -- The spokesman of the Muslim Students Association at a Tehran polytechnic was arrested on Wednesday, Iranian news agency ILNA reports. Babak Zamanian was reportedly arrested because of interviews he gave to Farsi language radio stations that broadcast outside Iran. The students of the Amir Kabir Polytechnic made front page news around the world last December when they managed to prevent President Mahmoud Ahmadinejad, on a visit to their campus, from making his speech. It was the first time since his landslide victory in June 2005 that Ahmadinejad had been challenged in public. Dozens of protesters burned pictures of the Iranian president crying 'dictator go away', 'death to dictatorship' and threw firecrackers, forcing him to interrupt several times a speech and leave before scheduled. "The direction of the university had been warned we didn't want Ahmadinejad here," Mehdi Hatefi, an activist with students' group Tahkim Vahdat told Adnkronos International (AKI) at the time, saying the organisers had tried to fill up the lecture hall with people from other universities. Majed Safaee is what seems like a shameless self-hating Iranian in Sweden which many of my friends in Sweden have righftully exposed (link 1, link 2, link 3) . He is also the Vice Chairman of the Swedish Liberal Party's youth commision . Ardavan Khoshnood, chairman of the "Association for Democracy in Iran", writes that Majeed has declared his support for the separation of an Iranian province ("Kordestan") and has described Iranian nationalists (including Kurds! ), who care for the territorial integrity of their country, as "dumb nationalists". Promote-Peaceful-Change" like Akbar Ganji - who served in the Revolutionary Guard at a time in which that organization was killing thousands upon thousands of Iranian political prisoners. The latest idiocy of this character is describing Iranians who are upset about how their ancestors have been portrayed in the movie "300", as "insane and idiots". Nothing in the history of this certain Majeed Safaee would indicate that he is even remotely fond of Iran, its history, its people, nor the territorial integrity of what is supposedly the country he hails from! Therefore it is of no surprise how he condemns honorable Iranians that are upset about a movie which portrays their ancestors as monsters, terrorists, and their physical appearance as anything BUT Iranian! Majeed Safaee go have some shame or at least stop calling yourself Iranian if you are going to behave so unworthily of that title! Your actions are a disgrace to all Iranians! Song by Iranian singer "Aref" in honor of our Shahanshah. Help save humanity's cultural heritage from Islamists! Tange-Bolaghi is an area next to Pasargarde city which is largely unexcavated and which contains hundreds of identified cultural heritage sites (which need to be excavated) which will be SUBMERGED once the dam is in operation! (see the map which there's a link to below). Many thousands-year old artifacts have been discovered in this area amongst them remains of three Achamenid palaces - one attributed to Darius the Great has been in the past month or two! The flooding of the valley will result not only in a national cultural loss but a loss to humankind because afterall this is part of human heritage! Fringes of Pasargarde will also be submerged in water as the map clearly points out - which leads to a potential threat of humidity-damage affecting the Tomb of Cyrus the Great! It is a FACT that this dam will FLOOD an immense un-excavated area containing invaluable traces of our cultural heritage! and the fact that it can potentially damage Cyrus' tomb is enough for this issue to be taken seriously! The loss that will be caused by the Sivand Dam cannot be compensated by new forestation. Sivand Dam will destroy natural environment, agriculture and archaeological treasures of Bolaghi gorge and Pasargad plains. 7000 years of humanity's cultural heritage to be wiped out! Bolgahi Gorge with all its cultural and historical artifacts is being wiped out with the Islamic Republic ordering the flooding of this area. 7000 years of humanity's cultural heritage will now be wiped out if nothing is done to stop it in the NEXT FEW DAYS! This flooding is going ahead with the approval of the self-proclaimed "Iranian Cultural-Heritage Agency"!!! I hope my non-Iranian readers now understand why I and my compatriots do not refer to these savages as Iranians! These islamists harbour nothing but hate for Iranians and Iranian cultural heritage! "Comparing to the destruction of two Buddha statues in Afghanistan by the Talibans, this new treat and its consequent loss is beyond any imaginable destruction that have been inflicted on the history of the world." 5- Contact Free World officials ask them to support ….. PLEASE CONTACT UNESCO OFFICIALS AND DEMAND THAT THEY TAKE ACTION! DEMAND THAT UNESCO TAKE ACTIONS TO PREVENT THIS MAJOR DISASTER! This interview is composed of four parts and is conducted in French, with some German commentary - unfortunately i'm not especially strong in either of those two languages but if someone is and would like to point out something which was raised in the interview please do so. I believe this is the year (1971) when HIM the Shah finds out about his cancer - his health will deteriorate until his passing away on July 27, 1980; one year after the Islamists take over the country. In regards to the interview I can make out talk about a metro (underground), the nuclear energy programme, development of the steel industry, arms industry, oil, electricity, Iranian Imperial Navy, international relations, the Oman conflict, the Rastakhiz Party, the Empress' social initiatives in the country, OPEC, economic progress, the Soviet Union, and terrorism. I didn't really plan on marking this blog's one year anniversary but here's for being online for over a year! Thanks Mani! and of course thanks to my readers and all the great people in the blogging community! 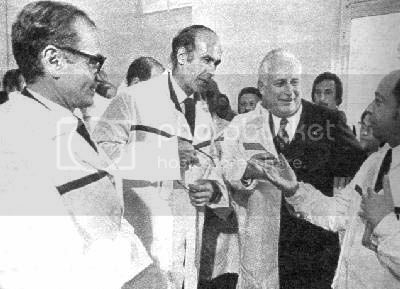 Dr Shahpour Bakhtiar was the late Shah of Iran's last appointed Prime Minister before the enemies of Iran sent the country into turmoil and eventually seized power. 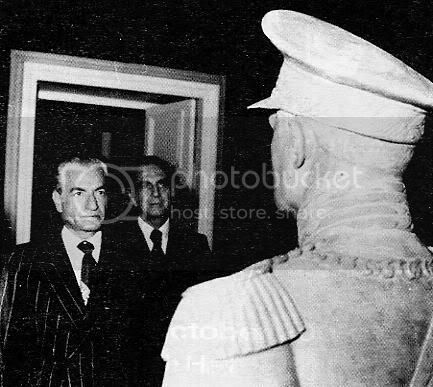 PM Bakhtiar (see pics) was previously a member of the Jebhe Melli party (created by PM Mossadegh), which caused tremendous damage to Iran by following in the radical footsteps of PM Mossadegh and always seeking to undermine the Shah. If there was one honorable and respectable man in that organization, with all his flaws that any human being has, it must have been Shahpour Bakhtiar who in 1979 knew where to stand. 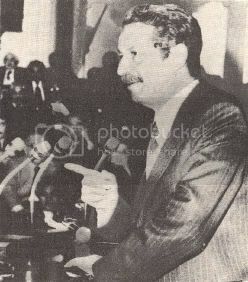 Shahpour Bakhtiar accepted the position of Prime Minister on one condition, that the Shah left the country for a short period of time until the situation was under control - in yet another bid to calm tensions; the Shah who did not want any further innocent blood to be shed by the violent revolutionary gangs agreed. The cowardly members of Jebhe Melli ("National Front")- all abandoned Dr Bakhtiar in this historical time where he had been entrusted to save the country from falling into the hands of the enemy. These self-proclaimed "nationalist intellectuals" of Jebhe Melli did not think twice about joining forces with the reactionary and extremely anti-Iranian Islamic clergyman Ayatollah Khomeini who today is known for his genocide against the Iranian people, and for his disgusting Islamic doctrine which requires a separate entry for itself (see Dr Homa Darabi homepage to acquaint yourself with this Islamic clergyman)! PM Bakhtiar's government collapsed within a few month's and the coalition of "Red & Black" as the Shah referred to them as, which included Jebhe Melli ("National Front"), Hezbe Tudeh (Communist Party), Islamists (under Khomeini) and foreign powers (USA, UK, France, Germany...) all rejoiced in Iran's defeat. It was not long before the Islamists soon usurped power and began turning against their former allies - the Communists and Jebhe Melli. Today the leftovers of Jebhe Melli shamelessly try to associate Dr Bakhtiar with their rotten and treacherous organization which not only betrayed him but also the entire Iranian Nation! The very man which they destroyed is today hailed by their leftovers as a "member of Jebhe Melli" and they have pictures of him on their pathetic little websites! H.E. Shahpour Bakhtiar must be turning in his grave witnessing this mockery! Despite all the propaganda that you will hear from the enemies of Iran Dr Shahpour Bakhtiar who was a staunch critic of the late Shah, and having even been imprisoned during the Shah for various offenses, made his position clear in 1979 that above everything else he was a NATIONALIST and that he was not seeking the fall of the Iranian Monarchy but rather wanted the Shah to act as a Constitutional Monarch; he made this crystal clear in interviews after the mullah's had taken over. 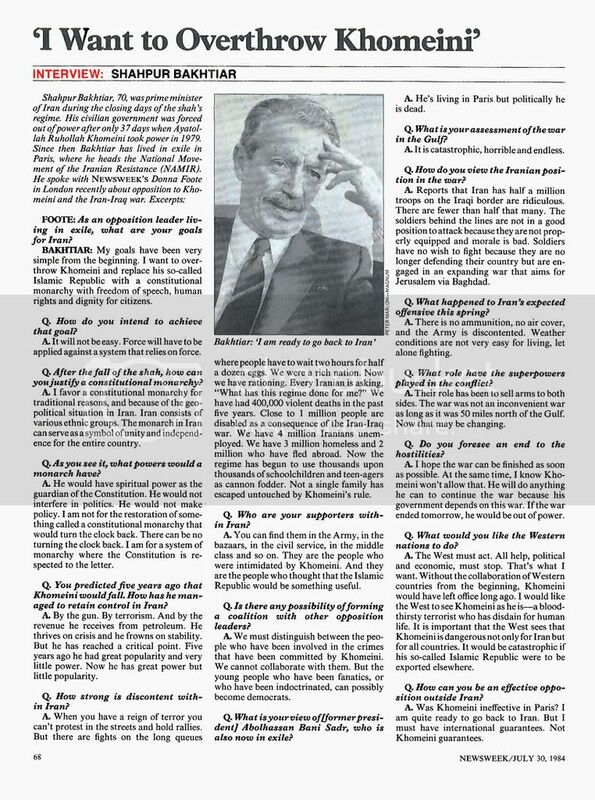 For my viewers attention i've uploaded a scanned newpaper interview with Dr Bakhtiar where this point is included; I hope that the enemies of Iran will find the decency not to abuse and dishonor the name of such a great patriot/nationalist any longer! My previous entry on H.E. PM Bakhtiar. From being a "most favored nation" status in receiving nuclear assistance to becoming "number one terrorist-sponsoring nation"! I hope that my fellow brothers and sisters, of my generation, in Iran understand what tragedy/misery their fathers/mothers brought upon them and how they totally ruined their future! I found THIS VIDEO SEGMENT of Norooz at HIM Shahanshah Aryamehr's current resting place in Egypt, and thought I would share it with my readers. 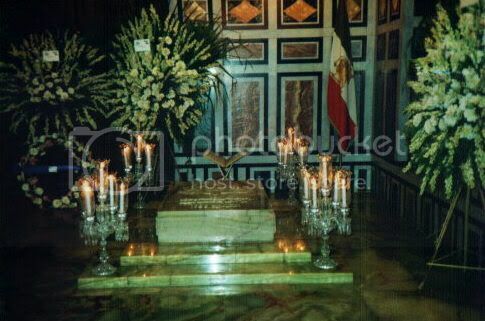 His grave has become a place of pilgrimage for Iranians across the world. It's very emotional. I hope that HIM the late Shah will soon be laid to rest in his own homeland. It will happen in my lifetime; that i'm certain of. Keep up the good work Mani! Dorood Bar Ravaneh Janbakhtegane Mihan! بمناسبت 21 فروردین سالروز بزرگداشت جانباختگان نیروهای مسلح شاهنشاهی ایران و جنگ با عراق در روز یکشنبه 26 فروردین 2566 به خانواده های بازماندگان، افسران، درجه داران، سربازان، و پرسنل وابسته به نیروهای مسلح شاهنشاهی ایران در سراسر جهان بپیوندید تا یاد تمامی جانباختگان راه آزادی و سربلندی و شرف مام وطن را پاس داریم و بر آنان ارجی بی پایان نهیم. France 3 TV "Vie Privée, Vie Publique". After the successful "SAVE NAZANIN" campaign which freed the innocent Iranian youth, "Nazanin Fatehi", and reunited her with her family - it is time to pursue yet another noble cause of saving another innocent life which the Islamic Republic occupying Iran intends to execute for a crime not committed. Please visit the "SAVE DELARA" campaign page and help save another innocent life from being taken away by the mullah-savages running the occupational Islamic Republic in Iran! Also visit Nazanin Afshin-Jam former page on "Nazanin Fatehi" which continues to champion the freedom of innocent Iranian youth! This exceptional solider of Iran deserves an entry for himself. Whenever the nation's security was in danger, General Zahedi was there to defuse it - a true Iranian hero! Mohammad Fazlollah Zahedi (1897-1963) was an Iranian general, Prime Minister, and politician. Born in Hamedan in 1896, he was the son of Abol Hassan "Bassir Diwan" Zahedi, a wealthy land owner at the city of Hamedan, Fazlollah Zahedi was appointed general of the Iranian army at the age of 25. During his service at the Imperial Russian-trained Iranian Cossack Brigade, one of his comrades in arms (his superior in fact) was Reza Khan, the later Reza Shah Pahlavi. The alliance, forged between the two men, was to endure a lifetime and continued to bind their sons, personally as well as politically. He served under Reza Pahlavi in the army later on, and was among the officers dispatched to Gilan who put an end to the Constitutionalist movement of Gilan of Mirza Kuchak Khan. During Reza Shah's reign, General Zahedi was named (1926) military governor of Khuzestan province, holding the hub of Iran's oil industry, and in 1932 chief of national police, one of the nation's top internal posts. During World War II he was appointed (1941) commanding general of the Isfahan Division. Subsequent to the forced abdication of Reza Shah (1941), fuelled by British fears of an Alliance with Nazi Germany, Zahedi was arrested by British forces in 1942 for the same reasons, flown out of the country and interned in Palestine until the end of the war. A fierce nationalist, Zahedi fostered deep reservations and suspicions towards the Allied Forces. Returned from exile in 1945, during the reign of Mohammad Reza Shah (Reza Shah's son and successor), General Zahedi became Inspector of military forces in southern Iran. He became once more chief of national police (Shahrbani) in 1949, when Mohammad Reza Shah appointed him as chief of the Shahrbani Police Forces, in order to counter the growing threat of Sepahbod Haj Ali Razmara. After retiring from the army, he was named Senator in 1950. During Hossein Ala''s Premiership Zahedi held the Post of Minister of the Interior (1951), which he retained during the initial period of Dr. Mohammad Mossadegh's tenure. While Zahedi actively backed Mossadeghs nationalisation of Iran's oil industry, a move that antagonised the United Kingdom and the Western Powers, he was at odds with him over Mossadeghs increasing tolerance for the outlawed communist party Tudeh, which had seized the opportunity and boldly demonstrated for Iranian rights to its national resources. Zahedi finally fell out with Mossadegh, who accused him of fostering coup plans. Iran's oil-exports came to a standstill due to sanctions levied by the Western Powers, leading to considerable economic hardships at home, with painful impacts on the labour force. Riots by several tribes of southern Iran and destitute oil-field workers destabilised public life further and demands for political change grew nationwide. The USA, who had held "Mossy", the ailing and previously staunchly pro-American Dr. Mossadegh in high esteem, were fearing increasing communist influence over the situation and dropped their support for him. As a result of the ensuing international crisis and Iran's political destabilisation, the Shah, encouraged by leading figures, in February of 1953 asked Prime Minister Mossadegh to resign,. Mossadegh refused to abide by the constitutional rights of the sovereign to dismiss him, provoking a national uprising. During a restive interlude Zahedi acted from underground in order to avoid imminent arrest. Shah supporters crowded the streets, calling for the Premier's ousting. Rebellious groups engaged in street-fights with forces loyal to Prime Minister Mossadegh as well as rallying members of the Iranian communist party "Tudeh" (the name implying "Masses"). In August of 1953 Mossadegh attempted to convince the Shah to leave the country. The Shah refused, and formally dismissed the Prime Minister, in accordance with the foreign intelligence plan. Mossadegh refused to resign, however, and when it became apparent that he was going to fight, the Shah, as a precautionary measure foreseen by the British/American plan, on 15th August flew to Baghdad and on from there to Rome, Italy, after hesitantly signing two decrees, one dismissing Mossadegh and the other nominating General Fazlollah Zahedi Prime Minister, subsequent to pressure from the US and UK intelligence agencies. By unconstitutionally refusing to cede power to his destined successor, subsequent to the Shah's dismissal, and foiling attempts to remove him by force, Mossadegh had factually staged a coup d'Etat. Supported by the politics of the United Kingdom and the USA, and encouraged by the intelligence agents Kermit Roosevelt and Donald N. Wilber, General Fazlollah Zahedi staged a counter coup, drawing public and military support, which succeeded on the 19 August 1953. 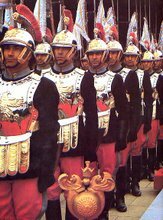 Legitimised by the Shah's decree, thousands of copies of which were publicly distributed as flyers, Zahedi proclaimed himself Prime Minister and the Shah returned triumphantly to Iran, from his brief exile in Rome, on the 22nd of August. Many contemporary sources attribute the instigation of the counter coup entirely to foreign intelligence agencies, such as the U.S. American CIA ("CIA Coup") and the British MI6. Numerous books were published on the events surrounding the counter coup, often mixing facts and fiction. Sober reflection sheds due scepticism on assertions that two foreigners and a few local cooperators should have arbitrarily manipulated masses of (traditionally xenophobic) Iranians into action. In light of the fact, e. g., that the CIA later claimed to have lost all documentation relating to the coup events of 1953 in a fire, circulating narrations (often self-congratulatory) of alleged participating agents and other "insiders" need be regarded with due caution. Having acquired an unprecedented power-base and, as a consequence, evoking increasing unease at home, the Premiership of General Zahedi ended in 1955. His final exile was sweetened by his last post, as Ambassador to the United Nations, in Geneva. Zahedi's family descends from the Sufi mystics Sheikh Zahed Gilani (1216 - 1301) and Sheikh Safi Al-Din Ardebili, the eponym of the Safavid Dynasty. 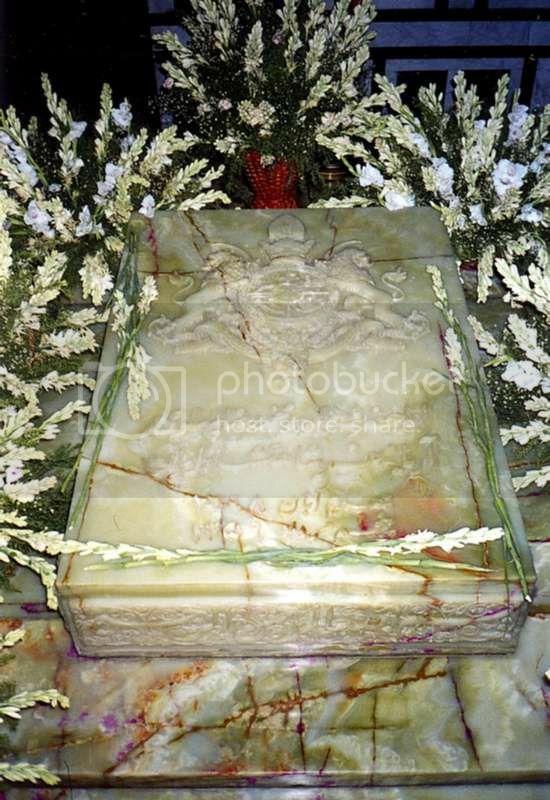 Through his mother, Djavaher Khanom, he traced his descent to the dynastic ruler Karim Khan Zand. Married to Khadijeh Pirnia, daughter of Mirza Hussein Khan Pirnia (titled Motamen-ol-Molk), and granddaughter to Mozzafar-al-Din Shah Qajar (1853 - 1907), Fazlollah Zahedi had a son, Ardeshir, and a daughter, Homa. His son Ardeshir Zahedi, a later politician and diplomat, was to marry Princess Shahnaz Pahlavi, daughter of Mohammad Reza Pahlavi from his first marriage to Princess Fawzia of Egypt, daughter to King Fuad I.